Home » BLOG » Have Your Electrical Outlet Stopped Working Suddenly? Have Your Electrical Outlet Stopped Working Suddenly? 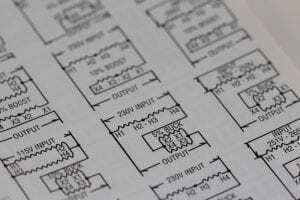 Electricity could always develop faults, most times all of a sudden. It could happen that the entire electrical power of your house suddenly stops, at least you know it is a general fault, and a technician could diagnose the problems for you. But what happens when a specific electrical outlet suddenly stops working? For example, the power outlet where your refrigerator is connected. You have tried the use of a multimeter to test for the current to the thermostat of the refrigerator, but it reads no-current, that it can get you get a bit confused. Now you are starting to wonder where the problems lie, you pull the plugs and replug again but nothing changes, you try connecting it to other outlets and it works fine. You might tempt you to call an electrician, well, unless it gets dangerous and it is electricity so it could, we have some tips for you that can save you the cost of a service call by solving your electrical outlet problem by yourself. Logically, one of the first things that come to mind is to check the circuit breaker because it is not a strange thing for them to trip and cause your outlet to stop working. The circuit breakers are not difficult to locate, you can find them in metal boxes where the electrical wires enter into your house, and most times it could be the garage or the laundry room. Since the knob of the circuit breaker flips to the opposite side when it trips, you check it and you might think it’s in the right position, but sometimes, the knobs stick somewhere in the middle. It might even seem so close that you don’t get to notice that it is off. It may not just be a circuit breaker that flipped; it could be a blown fuse. You need to check the panel and ensure that you flip the knob rightly to reset the breaker that is shut off and replace the blown-out fuse with the same type that has been removed. That might be the problem with your outlet. If you have tried that and the circuit breaker still seems to flip itself backward, then it might have a problem of overload, so you should unplug some of the items weighing it down or get an electrician to make the necessary changes. Check your GFCI outlet, when it detects a leak in electrical currents, it immediately trips off to shut off the power and protect your house against dangerous electrical shocks. They are always located in the areas of the house where shocks risks are high like the kitchens, garage, bathrooms, or basements. If all of a sudden your electrical outlet stops working, it is more advisable to resetting all the GFCIs in that room. You can solve some yet to be known problems as sometimes other outlets could be wired on the same circuit and a tripped GFCI might affect those affected that outlets you haven’t discovered yet. 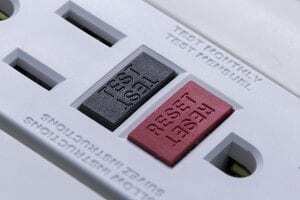 If you have tried resetting the GFCI and it won’t reset or when you try to press the “test” button, and it doesn’t pop out, then you need to consider that you might have a bad GFCI. For situations like this, it is preferable to get an electrician to fix the problem for you. To solve the electrical problem without difficulty, GFCI-protected outlets are most times labeled, but it could also happen that these labels might also have fallen off, then you should avoid the risk and call an electrician. If you have checked the circuit breaker and the GFCI, and they seem to be in their right conditions, next you have to consider as a problem is loose connections. If you understand the workings of electricity, you won’t find it strange for electrical contacts to become loose. There are three significant loose connections to check. First, you have to check the terminal screws, the stab-in and then the wires at their connectors. One or more of these could be the problem. You also have to be careful while checking for loose connections. Let us put you through some short steps and cautions to take while checking for loose connections. First, you need to ensure all your computers are turned off. You also need to get a flashlight, because all the lights would have to go out. Next, switch the main circuit breaker off, then remove the outlet from the box. Although these might seem cumbersome, it is extremely required to follow them. Now you are free to carefully bend the wires at each of the terminals to inspect for loose or broken wires. You should also check for burned or corroded wires as they might also be a problem. Whether the fault is a loose terminal screw, stab-in or a loose wire, it is better to install new outlets by replacing the affected ones, as loose connections cause excess heat which can amplify the problem and most probably could have already damaged the outlet. We also recommend you replace these wires or screws that are either loose, broken, corroded or burned to avoid future issues. If your electrical outlet stops working, one of these could be the cause, but we also need to note that although electricity could develop faults on their own, we might also be responsible for some of our electrical errors as we take it for granted. We are used to plugging in our items and expect them to work without adequately maintaining our power supply. Get gadgets that would help you measure your current and voltage like the multimeter. A great device that won’t let you down is Innova 3320 as it’s on the cheaper side but works just fine. You can read more on Amazon.com. You should also learn more about multimeter; it could save you from the frustrations of electrical damages. Now it is important to mention that electricity could be hazardous to work on without experience, so at some certain conditions when your repairs are getting dangerous, you can consider or getting a professional to work for you, or replacing the entire damaged unit. What causes an electrical outlet to burn?